The Left Occiput Anterior position has the reputation as the best fetal position. 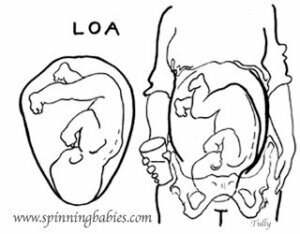 Actually, LOA is just one of the best positions to help the baby be in the smallest diameter to fit the pelvis. 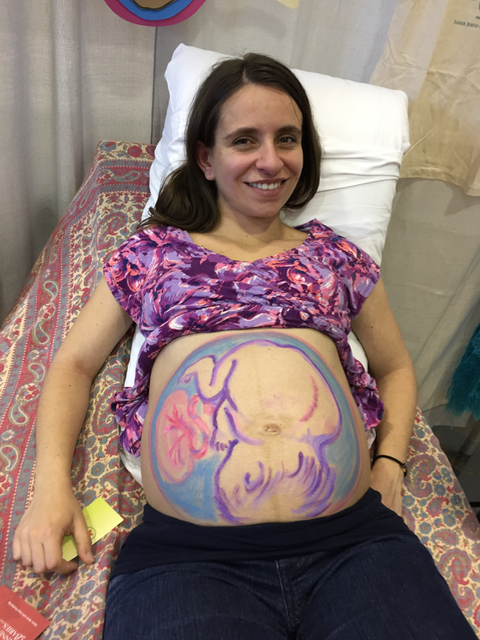 The LOA baby has his or her back on the mother’s left side. The baby faces towards the mother’s back between the right hip and the spine of his or her mother. The crown of the LOA baby’s head most often enters the pelvis first. Tucking the chin helps the baby fit the pelvis in a way that the baby’s head can mold (shape) most effectively to fit the pelvis. The baby’s back can curve most effectively in this position. The baby slides down the softening abdomen in the last weeks of pregnancy to enter the brim. The head enters the pelvic brim at about 38 weeks in a first-time mom, perhaps later in an experienced birthing woman. Gail feels the head to assess for engagement. 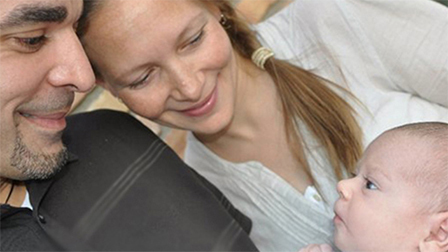 The midwife palpates the fetal head and listens to the baby’s heartbeat with a fetascope (stethoscope). The mother feels a bulge for the baby’s bottom on her left. The feet stretch and kick in her upper right. The midwife may feel the “cephalic promontory” on the right signifying that the baby’s chin is nicely tucked (flexed). The Left Occiput Anterior position is the most common, ideal fetal position (Optimal Foetal Position). 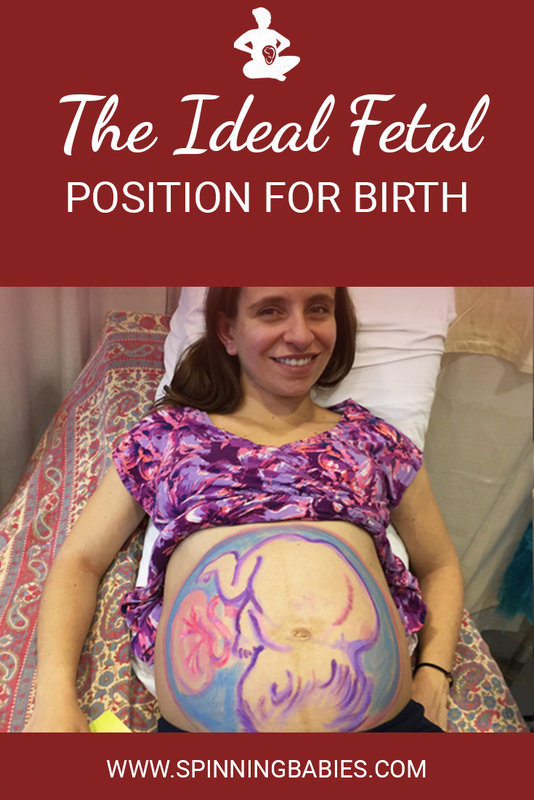 The label for optimal fetal position is dependent on the shape of the mother’s pelvic brim. The most common pelvic shape, gynecoid, is associated with an LOA or LOT (LOL in UK, NZ, and AUS) fetal position at the start of labor. An OA (occiput anterior) fetal position is also ideal. The baby’s back is directly forward. There seems to be little kicking, but the baby slides and stretches regularly. 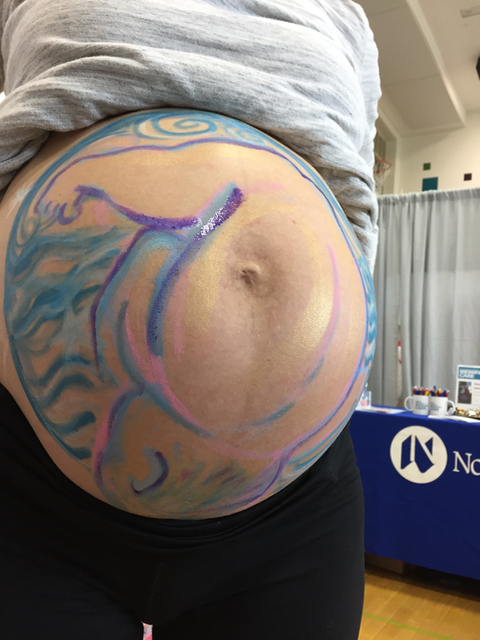 Fetal movement is present, just not as easily felt as with the posterior baby that has limbs kicking into the mother’s skin.